last gift guide in the 2016 holiday gift guide is for all the men in your life. whether it’s your significant other, brother or dad, these gifts are huge wins in my book and i know my dad would love all of them (my husband would like most of them too!). i’ve given my dad a coffee subscription box in the past for christmas and he absolutely loved it so if you have coffee lovers on your list, this would indeed be the perfect gift! andrew has a leather valet tray similar to that one and it’s so nice for keeping your small things (think watch, tie clips, etc.). i hope you enjoyed this holiday gift guide series! as much work as they are, i really love putting them together so i hope you got some ideas for gifts this holiday season. if you missed any of them, you can click here to see all the 2016 holiday gift guides! This is a great gift guide! My husband is so hard to shop for! Those are such great ideas! Love these ideas! The watch and the Nike's are definitely at the type of my hubs list. It's always difficult shopping for men. Thanks for sharing. 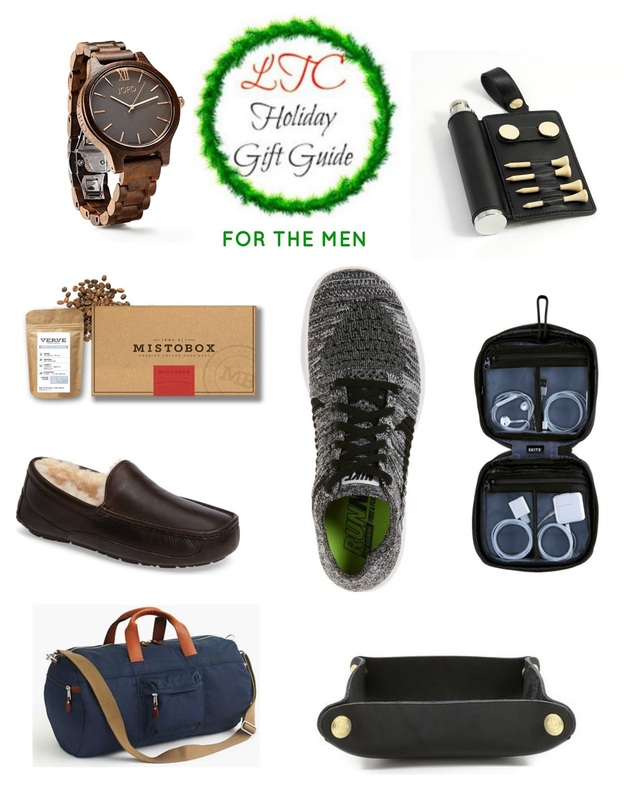 What a wonderful gift guide for any man! I'm especially loving the slippers, golf tee/flash and duffle bag! Love this! Such a great guide!